I always knew I wanted to create a great space for my son and teach him to navigate it safely, just as I did with my students when I was a Reggio teacher. When we moved to NC, I was ecstatic to have an extra room dedicated to play and learning. 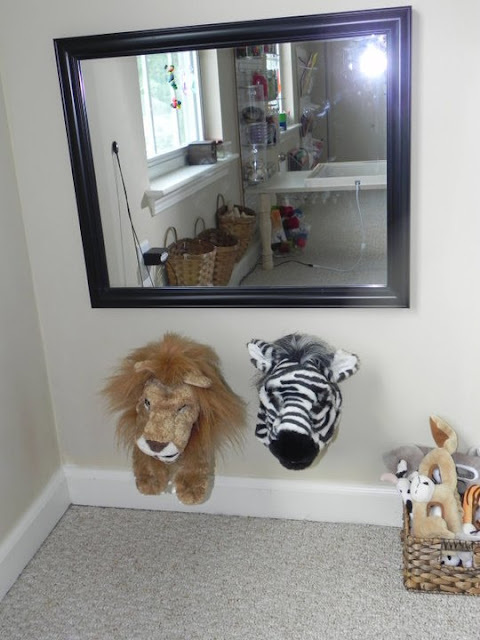 His playroom has really evolved and continues to as his needs and interests change. Here is how it all began, the changes made, and where we are today. Hope you enjoy! Then we added some cubby shelves. This was how I first organized his materials. Notice our light panel tucked nicely to the side of the shelves....a "space" for it had yet to evolve. We soon decided that since his bed room was only used for sleep, that it would make sense to move his play room into the bigger room and have his bedroom in the smaller one. 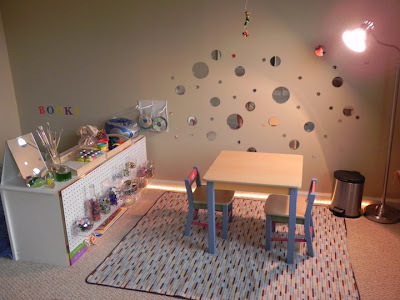 I took a lot of inspiration for my playroom and all of its accessories from being a teacher in a Reggio inspired school for 3 of my 14 years of teaching - my classroom looked a lot like this. The whole philosophy behind the environment is to make the space inspiring - a place where a child will enter and WANT to explore. Its also about having all materials (typically from the natural environment or recycled items) readily accessible to the child. The walls and furniture are usually neutral (hence my tan walls) to encourage the focus on the beauty of the creations and materials in the room. 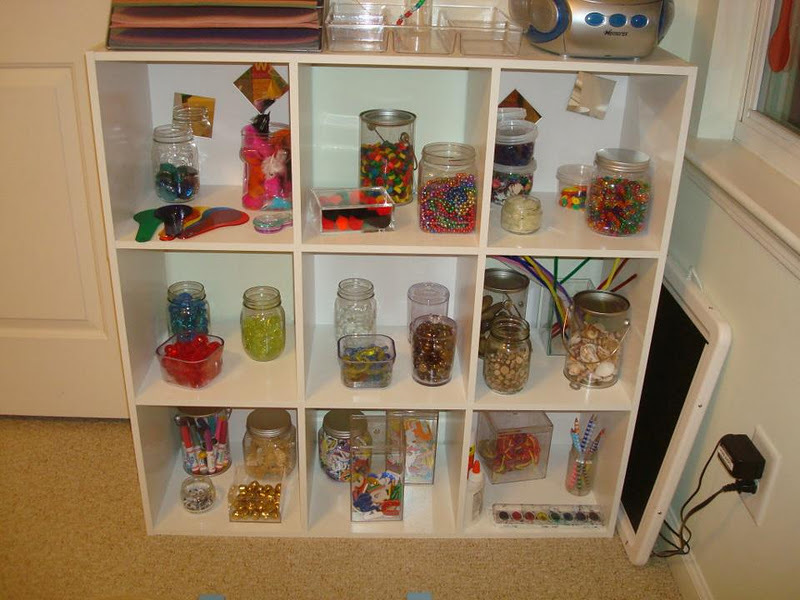 Most of these materials are used in all kinds of child-guided imaginative play. There are no "rules" (as long as nothing is getting ruined) and messes are embraced as learning experiences. That being said, my son does appreciate the order. Believe it or not, we have many days where we dont even go into this room - but when we do, oh the places we go!! This is a view of the play room from the entryway. The white thing hanging is a shower curtain liner that we use for the overhead projector. Its removable, so its not always hanging there. These baskets are actually planters (I found them at the dollar store). They are full of various items - wood pieces, sticks, pine cones, acorns, etc. This is a magnet board built by my husband - framed sheet metal. I LOVE this piece. 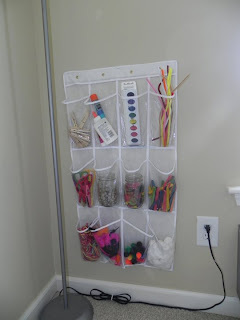 I used a shoe organizer from target to organize all of the items that are magnetic - as well as two baskets. This area is for dress up/imaginary play (its a work in progress). A mirror, two puppets, and a basket full of animal masks. This is a felt board I made. I just bought a piece of felt and one of the thick poster board sheets, used some spray adhesive and a hot glue gun, and wrapped it. Again, you see the shoe organizer to organize felt board accessories. These are our outdoor supplies. I had to put them in something that closes because we have strong winds here...but he has full access to the materials. This is our swing. It was initially in the playroom but the swinging range is greater in the garage (more fun). We wanted it to be inside because of the extreme hot and cold temperatures here. We have several attachments to this. We have the swing you see here, a trapeze bar, a regular swing, a climbing rope, and a sensory swing that Daddy built. My playroom is always changing as my son grows, his interests change, and I notice that things would be more functional set up another way. Its 2012 and our playroom just got a paint makeover. I'm also making a few changes here and there. This is what we have so far, but stay tuned. I added a curtain rod in the art area and used shower curtain hook to hang buckets full of materials. I moved the paper holder over and put the scissors just above it. New refreshing blue paint color. I expanded the "dramatic play" area a bit. It now has his Dr kit, his "suitcase", his astronaut costume, and basket of masks/puppets. 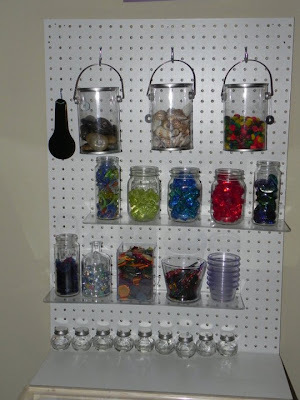 I took down the clear shoe organizer strip and bought small pails from Michaels for his magnets. Being able to dump out the pieces makes it easier for him to find what he is looking for. I took down the felt board and added shelves for his Playmobil. I find that he plays with it more when its out like this....and the felt board wasn't getting much use anymore (though its still in the closet and he brings it out from time to time). I expanded the mirrors across the entire back wall. LOVE! I have made a few changes to the art area. 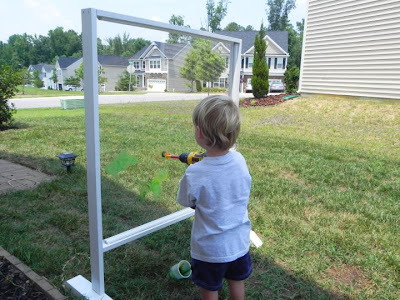 My son is really into building and figuring out how things work, so Im trying to make his art corner more inviting to him. 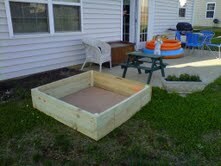 Wood pieces, plastic pieces, screws, nails, drill, screw driver, hammer. Very nice and inspirational. Thanks for sharing. WOW. I have super play-room envy. It clearly shows you have experience, ingenuity, creativity! Great to see and inspiring. Thank you. I LOVE this. How much of the house does it take up? Is the playroom a bedroom or den, or is it the living/family room? You have so much space! May I ask where you got 2 the wood toy bins in the picture with the cardboard bricks between them? Also, what are the letters on your Book Nook? It looks like they may be removable so they can be put in ABC order. I love your ideas so much. I am a grandmother of 2 little guys and we are having so much fum. We even just had a sleep over without any toys being played with. It was all black sand, clearies, colored tiles and light panel, and best of WATER BEADS! Had some type-o's there. I meant....*got the 2 wood bins and so much *fun! i love your space! i can't believe it is really just a space for one child! i mean it looks better than my preschool classroom! congratulations, if you don't mind, i might have to borrow some of your set up ideas! This is so inspiring, thank you! Where did you find the sheet metal? I've lived out of the US for a few years now and have forgotten where to find certain things. Thanks! Thank you, Sarah. My husband called around to some local hardware stores and found it. Who is your light panel by? I have tried looking up Tickit but I may not be getting it right. That is exactly what I've been looking for. Wow. This is amazing! So inspiring. Have five year old, planning on having at least one more. Thank You. I love, love, love!!! Everything! The space as it is now, the think-'aloud' of the transformation of the space over time. Two questions that stem from issues that are arising here at our house. What is the clean up procedure at your house? Now that my daughter is older she pulls more from different areas (trains, farm animals, cars to create one big scene...as an example). We are having a lot of trouble when it is time to clean up...just interested to hear your clean up procedure...when, how, and with how much involvement from you? Where did you get your paint cans? I'm wondering where you purchased the round mirrors across the wall? I love them! Are they adhesive? I am absolutly in love with your playroom. I was nervous about getting small things out incase they made a mess, but I put out several jars of beads, feathers and magnets. You are so right that with supervision and teaching them to clean up after we had a lot of fun. I'm so inspired now to change up the room a little more. 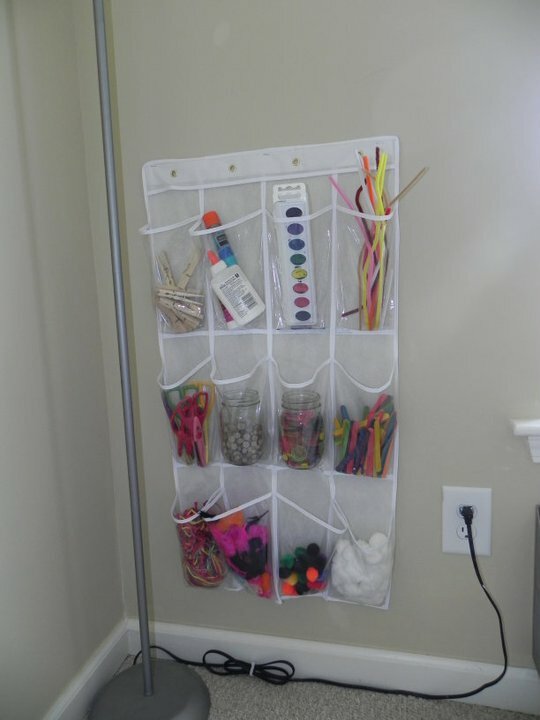 hi i'm in the uk and i've been looking for something similar to your paper holder, i'm not sure if i'm looking in the right type of shops or not so i was wondering where yours is from. This is just amazing...I love the evolution as you found what fit and what works. My question is, how do you encourage your kids to pick up? I have a 2 and 4 YO and my 4 YO is starting to do it, but only if I badger him (even when I am sitting with him and helping). My 2 YO will do it if I am doing it with him. However, EVERYTHING gets taken out all at once (they like to play garbage truck) so there is usually a huge pile of stuff to sort through. As we have a long family history of ADD and ADHD, from the very start, I wanted to get organized and TEACH my kids to be organized. Things have places and places have things. I was just curious about how you encourage your kids to tidy up and keep that room organized? Ooop! Never Mind, I just read more of the comments and saw what you did...Oh, to have such patience!!! Any suggestions about where I can find mine? LOL! What I wouldn't give for a play room. Any play room. Wouldn't even have to be as cool as yours, and I would be super d duper happy. This is great inspiration for when we get one :) Hopefully, they won't be grown by then. 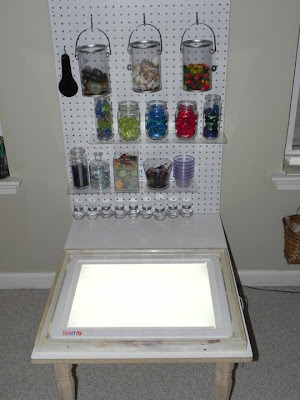 Does the light table cause any sort of problems on the eyes? After staring into it I wonder if it would be hurtful or cause damage of any sort. Can't wait to buy a house and duplicate this. Any books you recommend on the environment and the Reggio way? 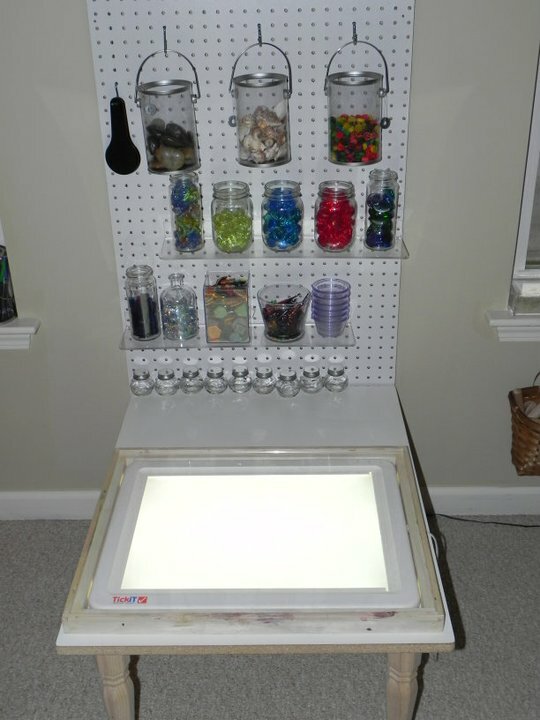 Totally not buying a house unless it is suited for the appropriate play room! Can I ask roughly how big an area your playroom is? UK houses are so much smaller and I am rubbish at abstract measurements! 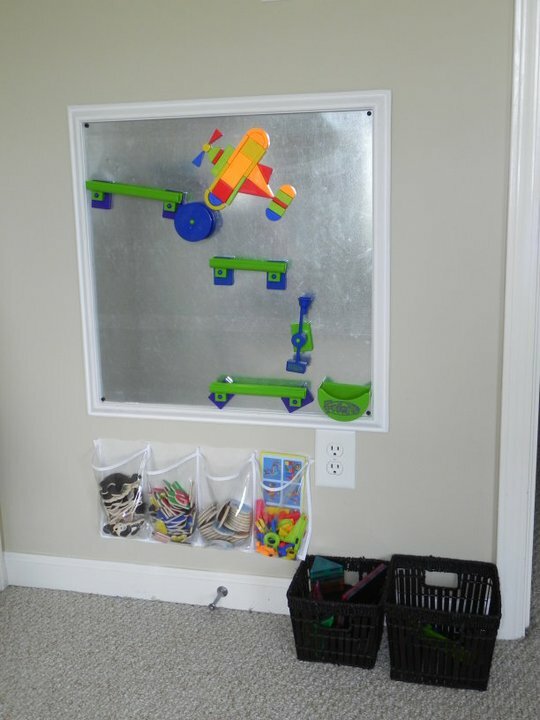 Where did you buy those marble works tracks for the magnet board??? They look like so much fun!! Amazon - they are frigits and I think they have been discontinued. I LOVE your playroom. We have a small (1180 sq ft) home with 3 kids. We are in process of buying a house a bit more than double our current size and there is a perfect room for a playroom there. I have been looking for ideas and I love so many of your ideas. 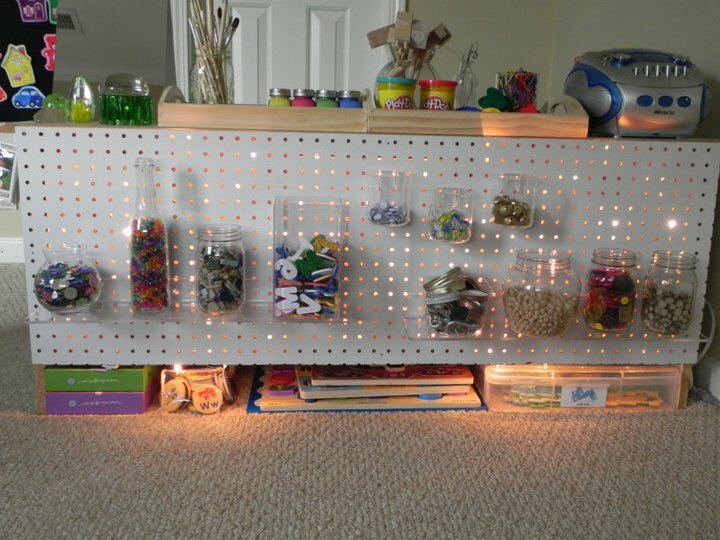 I never thought of a pegboard for a playroom, but how fun. Thanks for the ideas. 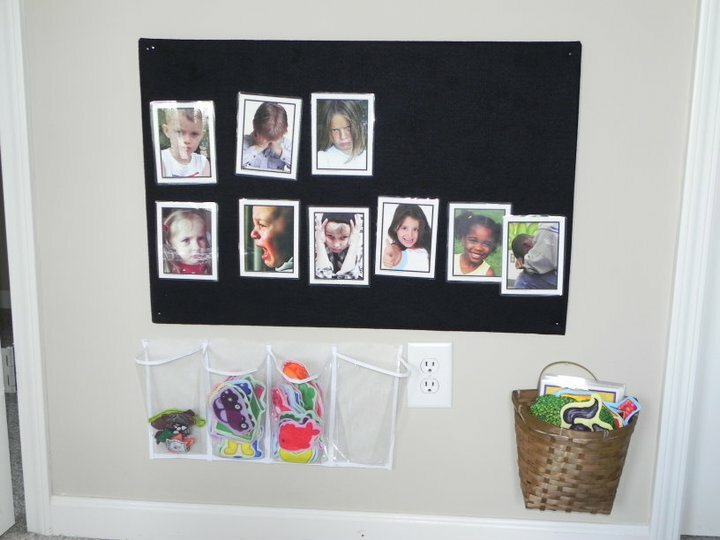 Ok, so I've tried to get one of those peg boards and it's been a disaster - they're nowhere to find! is there any special shop you can get them? I'm sorry I can't really tell, is the drill a toy, or?? Neat! A little concerned I'll end up with holes in the wall if I give little guy a hammer if I have to run to the washroom.... and he's pretty careful with stuff. How do you manage it?